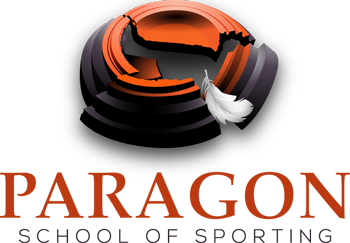 Sporting Clays and Wingshooting Videos - Paragon School of Sporting Inc.
Paragon School of Sporting Inc. is a World Class Sporting Clays and Wingshooting School founded by Daniel Schindler. This short video is a very good example of a slow, smooth, controlled sporting clays swing that will allow a shooter to move their game forward. When a shooter takes lessons, it's important they schedule their practice time so they maximize their return on investment. It takes time for a shooter to implement their training into their shooting routine. Daniel Schindler and his client(s) work together to tailor an individualized practice plan to help the shooters achieve their shooting goals. The discussion includes how many targets the shooter needs to shoot, the best ways for the shooter to practice after their lesson and more. Before you can work on a Sporting Clays or Wingshooting error, you must first find the error. Daniel Schindler welcomes Paragon VIP Members to the Paragon School of Sporting Inc.
After years of searching for a Sporting Clays Instructor, Michael Bane of Shooting Gallery visits Daniel Schindler, Master Sporting Clays Instructor and Founder of Paragon School of Sporting at River Bend Sportsmans Resort in Inman SC. Michael Bane, Ken Jorgensen and John Carter greatly improved their Sporting Clays and Wingshooting skills after taking lessons with Dan. Can You See the Sporting Clays Swing Errors, Adjustment & Break? Slow motion video of the shooter's gun swing, misses and the small correction to break the clay target. Chappie Gennett shooting a crossing target during a practice session with Daniel Schindler.